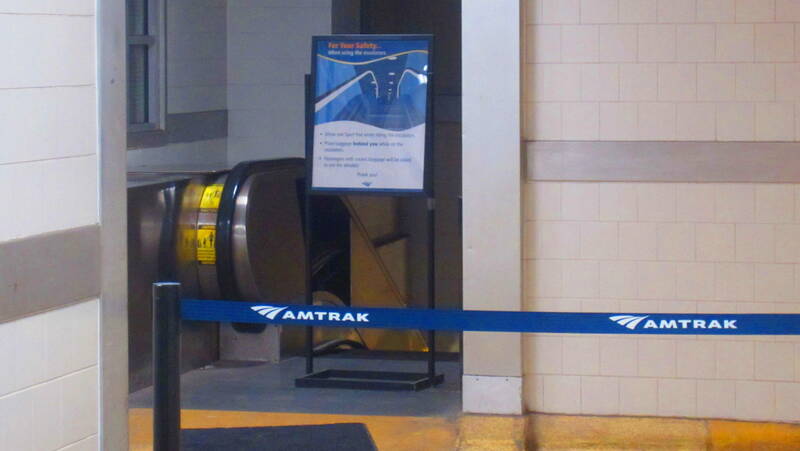 The same escalator in Baltimore’s Penn Station that was broken for more than nine weeks in May is down again, blocked off all last week, commuters report. 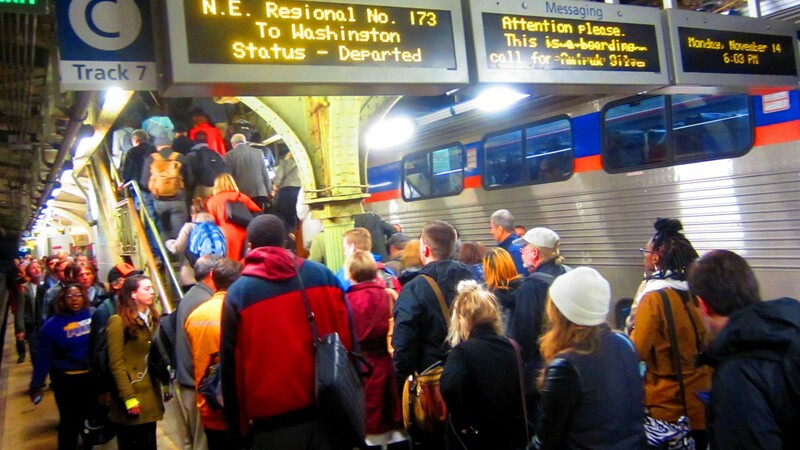 Without the escalator, thousands of daily passengers on Amtrak and MARC Penn Line trains have only one way up from the platform: a single flight of stairs and one small elevator. For city resident Scott Klinger, the situation is not just an inconvenience but a safety hazard. Irritated that no one seemed to be working on the escalator all week, Klinger said he asked about the broken elevator at the station’s information desk. Amtrak spokeswoman Chelsea Kopta, contacted by The Brew this morning, promised to provide a response. This story will be updated. The following day – Wednesday, 11/16/16 – Kopta informed The Brew the escalator was back in service. Passengers confirmed it was true.